False Eyelashes vs. Eyelash Extensions: What's the Difference? False Eyelashes vs. Eyelash Extensions: What's the Difference? You are here: Home / Blog / False Eyelashes vs. Eyelash Extensions: What’s the Difference? False Eyelashes vs. Eyelash Extensions: What’s the Difference? Long, full eyelashes never go out of style. 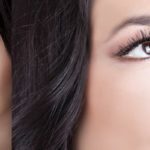 While most people turn to their tube of mascara for an extra lift, some women want to up the wow factor with a fuller, bolder look by using either false eyelashes or eyelash extensions. But, what exactly is the difference between false eyelashes and eyelash extensions? Although they fulfill the same purpose — that is, making your lashes go from ordinary to extraordinary — they have their distinct differences. When it comes to eyelash extensions, for best results, you should visit a professional to apply your extensions. At Cherry Lash, our experts are trained in the art of lashing and are always prepared to offer a superior guest experience. The process can take up to two and a half hours to complete, and your lush, new lash extensions can last for several weeks, if maintained properly. False eyelashes, on the other hand, don’t require a professional and take just a matter of minutes to apply. However, you must remove them nightly, or you risk developing an infection. Eyelash extensions are applied individually to the lash line. After application, you must wait about 48 hours before swimming or engaging in any activity that might make you sweat profusely, so that means putting a hold on your morning workout! Once that waiting period is over, you are free to return back to your normal routine. False eyelashes, however, consist of a single strip of lashes that you attach just above the lash line using special adhesive or glue. There is no recommended downtime after applying these – just attach and go! However, the adhesive can loosen throughout your day or evening, which could cause your falsies to fall apart. Eyelash extensions are made to mimic real lashes and create a softer, more natural look. Our lash artists create a full, balanced bouquet of extensions that blend in with natural lashes without adding excess weight. In comparison, false lashes tend to look a bit too dramatic for day-to-day wear, and because the strip lies flat on your eyelid, it can disrupt your eye’s natural movement. Here at Cherry Lash, our lash artists take the time to create a customized lash look for you, according to your desired results and the condition of your natural lashes. This level of attentiveness helps to ensure that your natural beauty remains fully intact! Give our Las Vegas eyelashes a try! Cherry Lash is the place to go in Las Vegas if you are interested in getting eyelash extensions. Speak with a member of our Lash Squad, or book a free consultation in Las Vegas or Henderson to see first-hand why we’re the best eyelash extensions service in Las Vegas. https://www.cherrylash.com/wp-content/uploads/2017/09/IMG_0745-copy.jpg 506 892 reynas_portal_65fghFU87_8433 https://www.cherrylash.com/wp-content/uploads/2017/10/CherryLash_new-logo-horizontal-300x85.png reynas_portal_65fghFU87_84332017-09-26 15:50:522017-11-01 11:14:46False Eyelashes vs. Eyelash Extensions: What's the Difference?